Kristen from Frugal Antics of a Harried Homemaker is our Friday baker at OUR KrAzY kitchen. 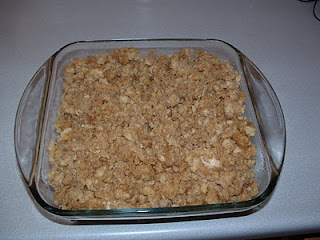 She posted a recipe for Sour cream coffee cake a while back that is one that she is trying to duplicate from her SIL. It looked and sounded like my grams old recipe that I told her I'd dig out grams recipe for her and then I decided to go a step further and make it and do a post to highlight the good and yummy flavors. 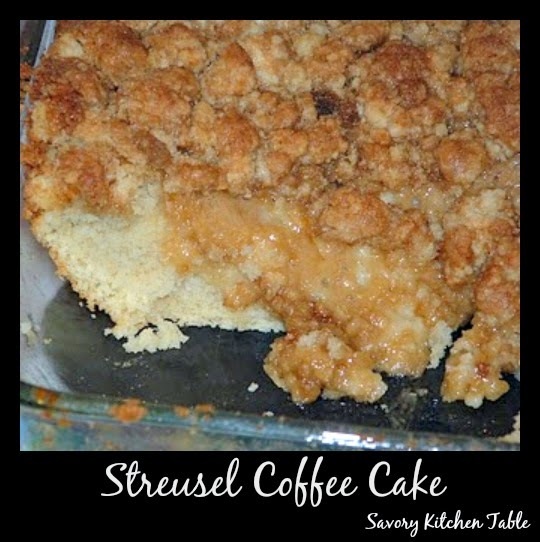 You get a light fluffy cake and ooey gooey streusel - YUMMY! Grams old recipe calls for Bisquick and I no longer use it for health reasons, but make my own so I will include that recipe too. Generously spray 9x9 square baking dish with PAM. 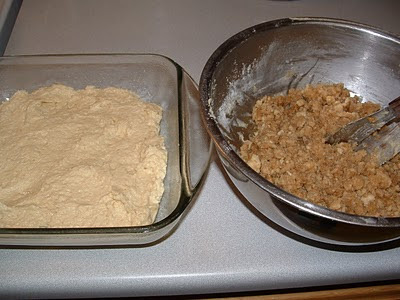 Mix cake ingredients together until well blended. Spread into baking dish, mixture will be thick. 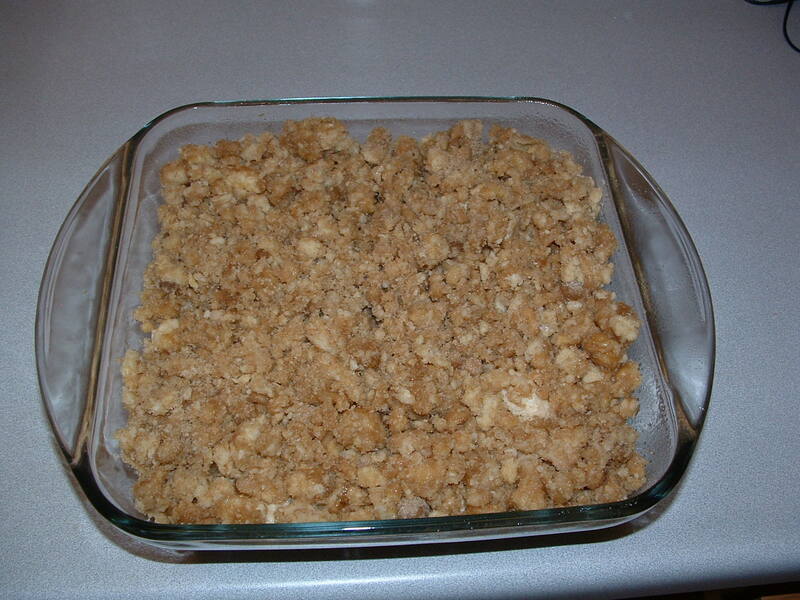 Mix streusel ingredients together until fine crumbles. Spread over the cake. With a knife gently cut a star into the cake to gently press some streusel into the cake. Bake 20-30 minutes until toothpick comes out clean. Stir together flour, baking powder, salt, and sugar. Sift again 2-3 times in a large bowl. Cut in butter with pastry blender or two knives until the mixture is similar to cornmeal. Use in recipes that call for Bisquick or all-purpose mix. **you can skip this ingredient if your recipe calls for any kind of milk, not water.